Once upon a time, Oleg Deripaska was the protégé of Mikhail Chernoy (Michael Cherney). 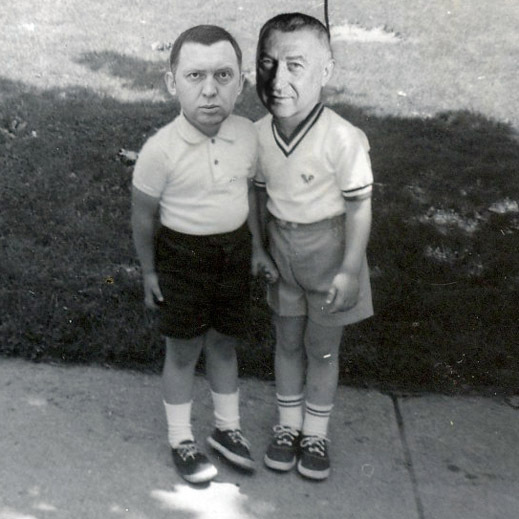 In that relationship, Cherney, the older, taller one, called Deripaska, the younger, shorter one, Zaichik (“hare”). When he grew up, Cherney made him his business partner. RUSSIAN ALUMINUM; Sibirsky Aluminum Products USA Corp. a/k/a Sibirsky Aluminum (US); Sibirsky Aluminum (Russia); Bauxal Management, S.A.; Metcare Management, S.A.; Unimetal Limited, S.A.; Oleg Deripaska; Mikhail Chernoi; Chernoi Companies 1 to 10; and Novokuznetsk Aluminum Zavod, Defendants. Afanasiev worked for EPAM LLC. EPAM stood for Egorov Puginsky Afanasiev and Marks, which had offices in Philadelphia and Moscow. Afanasiev’s client in that case, Mikhail Zhivilo, owned Base Metal Trading, whose supply of aluminium came from Zhivilo’s control of the Novokuznetsk Aluminium Smelter (NkAZ), which was taken over and absorbed by Sibirsky Aluminum in February 2000, and then integrated later that year within Russian Aluminium (Rusal), where it remains to this day. Afanasiev introduced Mikhail Zhivilo to EPAM. Ultimately, the US courts refused to accept jurisdiction over the case. But Afanasiev was instrumental in arranging for Deripaska to pay Zhivilo a compensation prize of about $60 million. By then Zhivilo was living in France, on the run from trumped-up Russian charges of conspiracy to assassinate the Governor of Kemerovo region, Aman Tuleyev. The French courts dismissed the Russian extradition warrant, and gave Zhivilo asylum. He’s been living happily ever after. So has Afanasiev. Since no court, neither in the US, nor in Russia, nor in France ever heard out and adjudicated Afanasiev’s claims of what Deripaska had done to Zhivilo, and the out of court settlement put a gag on the allegations, all that remains of the case that is demonstrably true is this: according to Deripaska’s chief lawyer, Deripaska and Cherney were business partners and together authorized a collective defence in the US courts against the Zhivilo claims. The time period for that litigation, and that part of their business partnership, ran from the year 2000 until the year 2004. As already reported, Deripaska is now swearing in the UK High Court that all of this is false. He’s also agreed with Afanasiev that the allegations Afanasiev had filed in US court a decade ago should be reversed, and lodged now against Cherney alone. The gangster defence, on which Deripaska’s grip of his shares in Rusal now hangs, also depends on noone remembering what Deripaska’s lawyer Afanasiev was once so certain of, he put it in writing many times before panels of federal US judges. Again according to the judge, three of Derkipaska’s witnesses were (maybe still are) on his payroll at Russian companies in the Deripaska group. Four additional ones were (maybe still are) employees at the Sayansk Aluminium Plant (SaAZ) from the time Deripaska was working there in the 1990s. Three have been identified as employees at “public offices” in the nearby town of Sayanogorsk. One is an expert on organized crime because he was (maybe still is) a gangster; and one is described in the court as an “investigative journalist”. The criminal and the journalist are evidently two different people. The investigative journalist – called Witness D— is described in the ruling as having not yet provided testimony that will be allowed as relevant or admissible in the trial. So until he does, Justice Smith deferred deciding whether his name and face should be concealed.